The Mini 6.50 is small, fast, and one of the most cutting-edge classes in the world. Measuring just 21 feet in length and sailed by one (crazy) person, the Mini is a popular and cost-effective way to jump into the world of short-handed off-shore sailing. 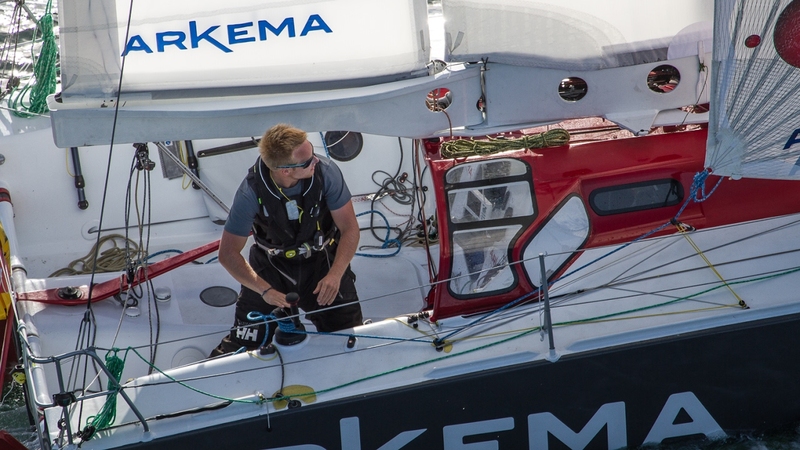 The majority of Mini sailors hail from France, the “mecca” of solo ocean racing. Many campaigns are fully self-funded, and is common for the skippers to build the boats themselves. For most, the Mini experience is a true labor of love. Skippers come to develop a close bond with their boat over years of practice, racing, and maintenance. It is essential for the skipper of a Mini to know every square inch of their boat as it becomes their small home on the ocean. Every two years, the Mini 6.50 class is put on the world stage during the running of their marquee event: the Mini Transat, a 4,000 mile race across the Atlantic Ocean. The race departs from France with the first leg being a sprint down to the Canary Islands. From here, the bow is pointed west towards the Caribbean island of Guadeloupe, with no planned stops in between.